Both life and golf can offer frustrations and also important lessons on topics ranging from "grinding it out" to versatility, sportsmanship, honesty, and of course confidence. In the words of Grantland Rice, "Like life, golf can be humbling. However, little good comes from brooding about mistakes we've made. The next shot, in golf or life, is the big one." 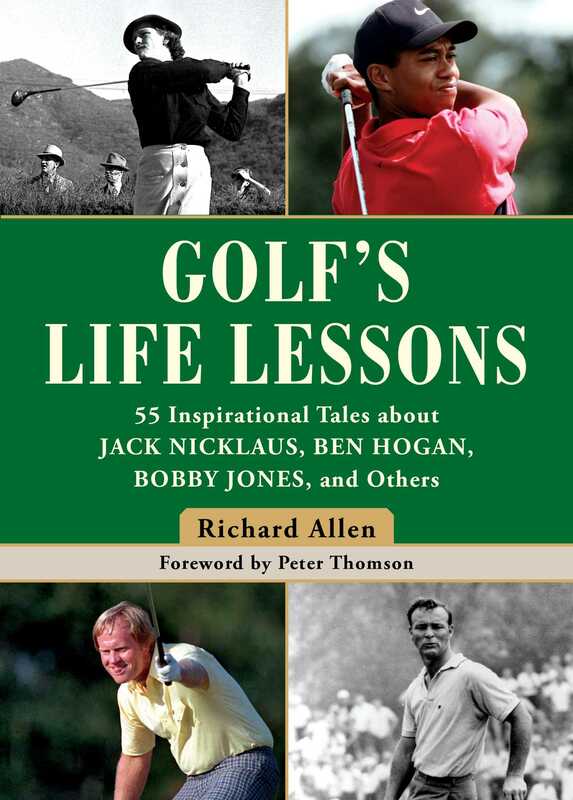 In Golf's Life Lessons, Richard Allen details 55 life lessons that we can learn from time spent on the golf course. In doing so, he applies examples and insight from the likes of Tiger Woods, Jack Nicklaus, Gary Player, Bobby Jones, Walter Hagen, Bob Hope, Lee Trevino, Ben Hogan, and many others. Through these anecdotes on the pros, golfers of all skill levels can discover that it’s not only how well you putt or chip, but also how you respond mentally to golf’s—and life’s—many roadblocks. This book makes the perfect gift for duffers and professionals alike!